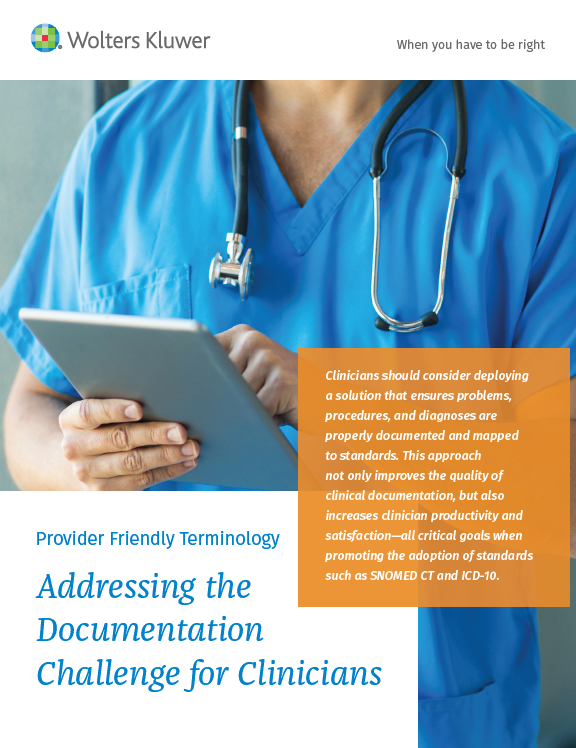 Inaccurately documenting ICD-10 and SNOMED CT codes at the point of care can lead to inaccurate reimbursement, clinician/coder EHR dissatisfaction, inefficient clinical workflow and decreased productivity within your organization. By embedding enhanced problem and diagnosis search terminologies into your EHR, you can make this transition seamless for end users and increase clinician satisfaction. Refine diagnosis codes to appropriate billable codes to ensure accurate reimbursement. Discover the benefits of Health Language's Provider Friendly Terminology solution. To download the white paper, please fill out the form on the right.